Web Wednesday : ADMA: What's cool in social networking? ADMA: What's cool in social networking? The Asia Digital Marketing Association (ADMA) has asked me to join a panel on "What's Cool in Social Networking?" held, in collaboration with the Australian Chamber of Commerce, at 8am tomorrow morning in the Renaissance Hotel in Wanchai, Hong Kong. Whilst researching for this event, I came across a highly informative and relevant blog posting on Pingdom which has charts showing the popularity of the top social networking sites across the world. 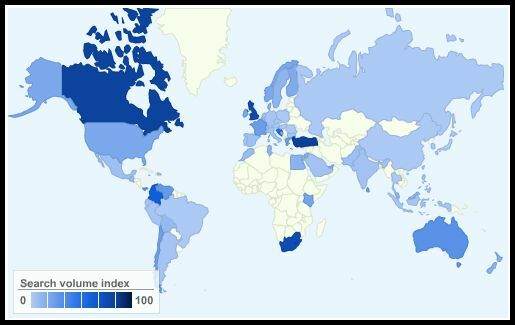 They have used Google Insights to produce charts from the most common search strings to illustrate each site's popularity on world map. BarcampHK - mobile website goes live!